Yep, you read this right! Avocado and Zucchini in a chocolate cake? Before you click off this recipe, trust me, this chocolate avocado zucchini cake is SO DELICIOUS. 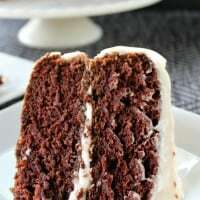 I’ve made a chocolate cake with zucchini before and it is AMAZINGLY delicious too. Now that we are eating healthier, I try to make all my recipes as healthy as I can, also dairy free, and organic if possible. This cake is one of the most moist cakes I have EVER ate! I had a lot of avocados and zucchini that needed to used up so what better way than to use them in a cake? And with my other chocolate lover’s zucchini cake being such a hit (before going vegan), I decided I would use avocado in place of dairy, and I might as well throw in some zucchini too. What a winning combination. You cannot even taste the avocado in this cake. This chocolate avocado zucchini cake is so yummy. 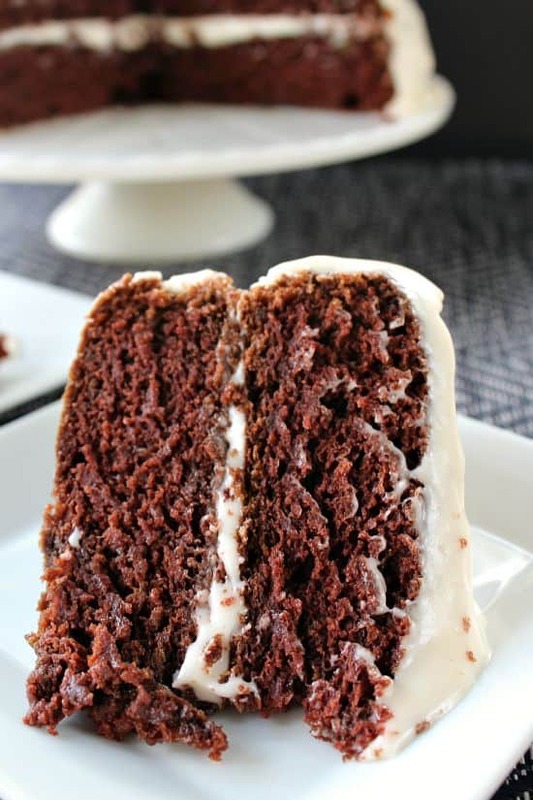 You can even enjoy this without frosting, it’s that good! So moist and flavorful. I also made some chocolate avocado zucchini cupcakes with this same recipe, and guess what? I made an avocado frosting for those. Yep, avocado frosting! I’ll be posting those soon. This chocolate avocado zucchini cake is the most moist cake I have made and is absolutely delicious! Now, for the frosting, that’s another story! Don’t even ask. 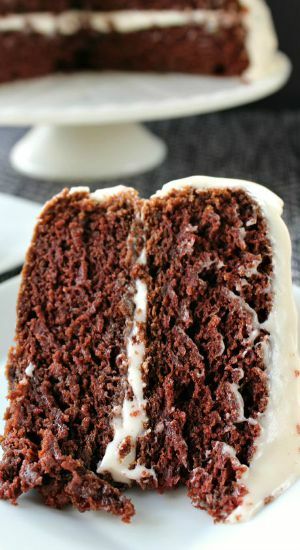 Anyway, if you are not vegan, this cake would be great with a cream cheese frosting or a delicious buttercream frosting. For Vegans, I used earth balance butter, and unsweetened almond milk in my frosting. 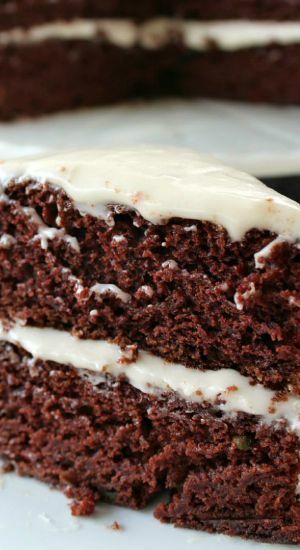 I NEED to perfect a great vegan buttercream frosting… SOON. I brought this cake to work, two nights in a row, and my co-workers LOVED it.! I even got an order to make this cake for my supervisor, Michelle, for an upcoming birthday. Woo hoo! So trust me on this one, this cake is ABSOLUTELY SCRUMPTIOUS. 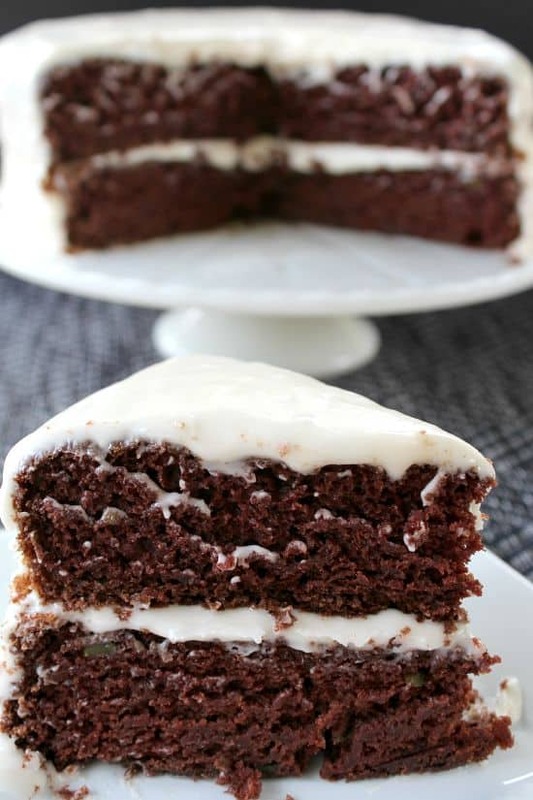 This is definitely going to be my “go to” cake recipe when I am craving something chocolate, that’s for sure. In a large mixing bowl, whisk flour, cocoa powder, salt, baking powder, and baking soda together. Set aside (sugar will be added to wet ingredients). Pour into prepared cake tins and bake for approximately 30-35 minutes or until toothpick comes out clean. Remove from oven and place on a cooling rake. Remove from pans after 15 minutes and let cake cool completely before frosting.